Since the early 1990s, a steady stream of select house and techno wells out of the Scottish city of Glasgow. The most substantial fountainhead has been Soma Quality Recordings, co-founded by techno household name Slam. Recently Soma presented its 400th release, which was reserved for the duo that established the label. The ep consists of two solid tracks, both clearly illustrating techno’s implied functionality. 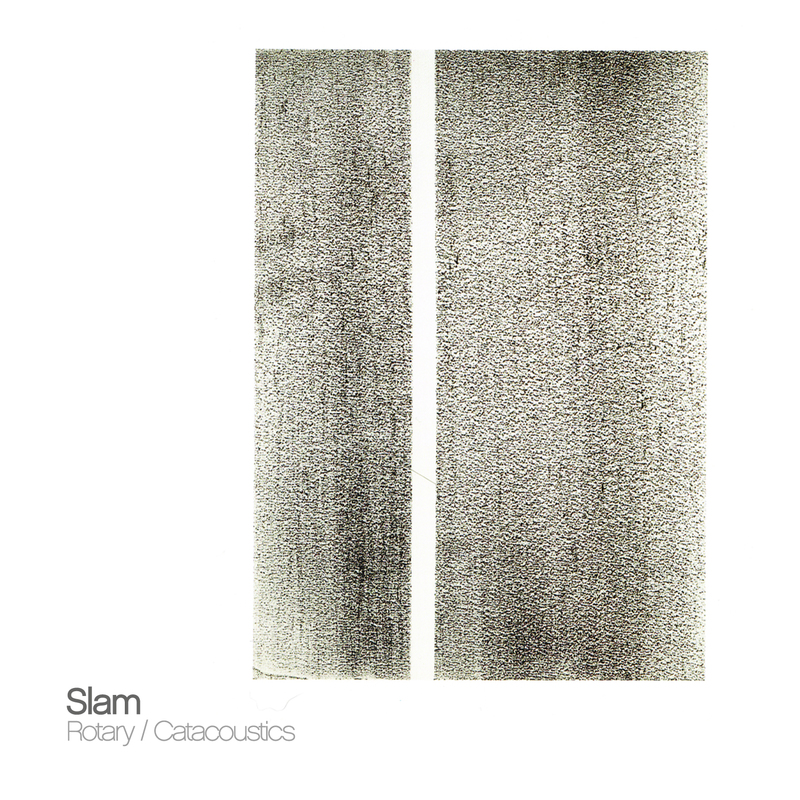 The steady pounding in “Rotary” is wrapped up in a menacing analogue synthesizer sound supplemented with hi-hats and sweeps while “Catacoustics” is much deeper, using bells, rattles and low bass to an entrancing effect. As this momentous release is a prelude to a new album by Slam, scheduled for October, we can rest assured Soma will continue to play their authoritative role in the scene. A producer closely associated with Soma and originally hailing from Glasgow as well is Funk D’Void. 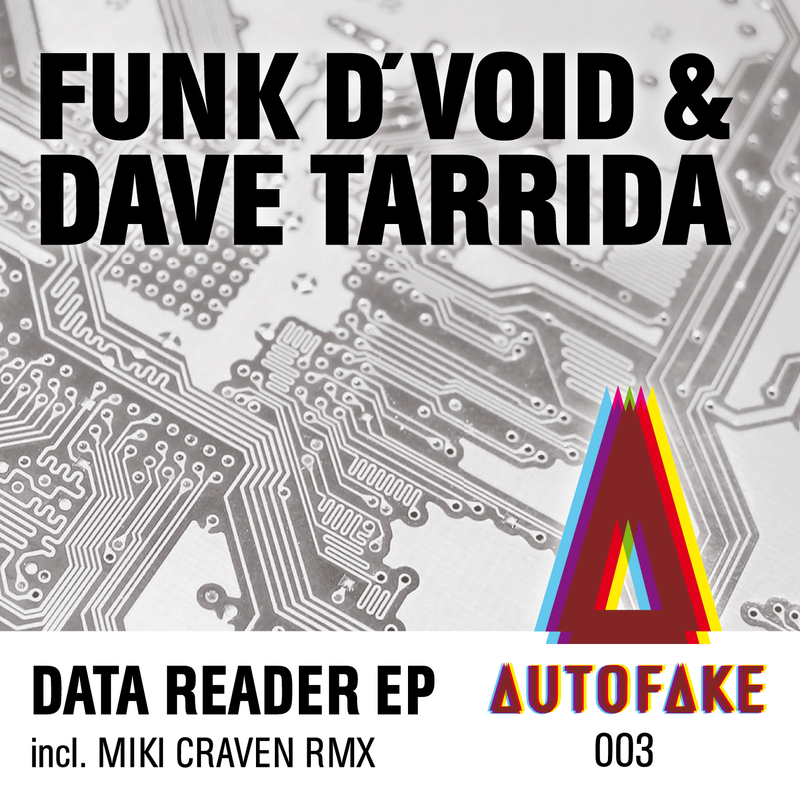 A while ago, he has teamed up again with Dave Tarrida, yet another Scotsman with years of experience producing music, for a release on the latter’s fresh label Autofake. The fun they had while working on this “Data Reader EP” is apparent and the result is a set of three coarse, raw, flipping acid tracks. Take for instance “Glow Blob”: a little mean dance machine that shoots off noises and samples in all directions while rolling firmly forward. 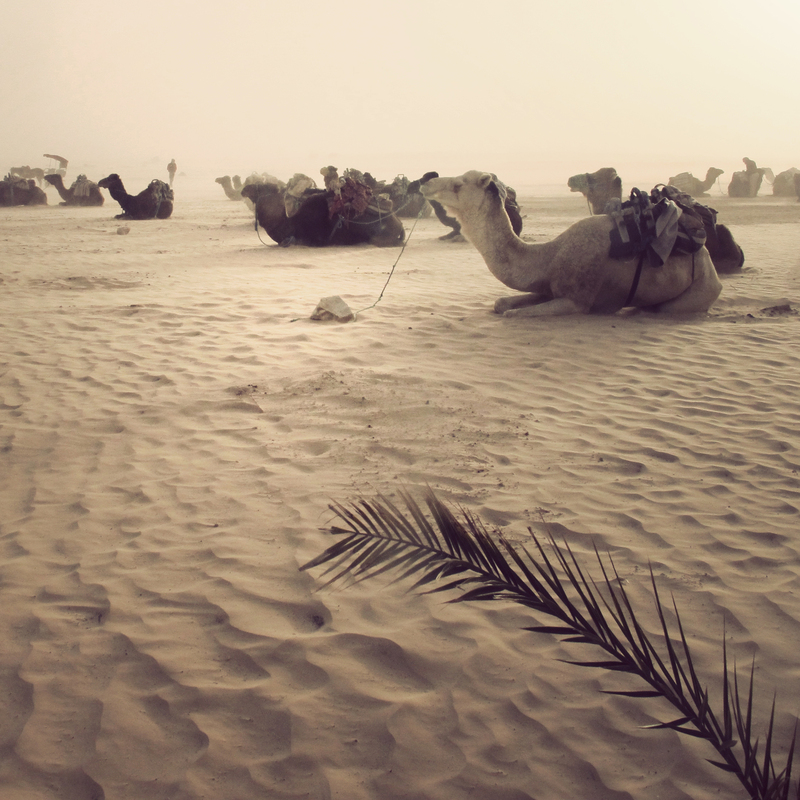 The title track in turn, can easily be described as timeless, prototypical acid techno. Lastly, the raucous, over-the-top stomper “Discontinue” gets a rework by upcoming Spanish producer Miki Craven, who transforms it into an atmospheric cut not unlike most of Funk D’Void’s solo work. After Dutch imprint Delsin went for a more house-orientated series of eps last year and brought out the superb “Cushion” by Erdbeerschnitzel, they are now pushing an equally exciting follow-up. 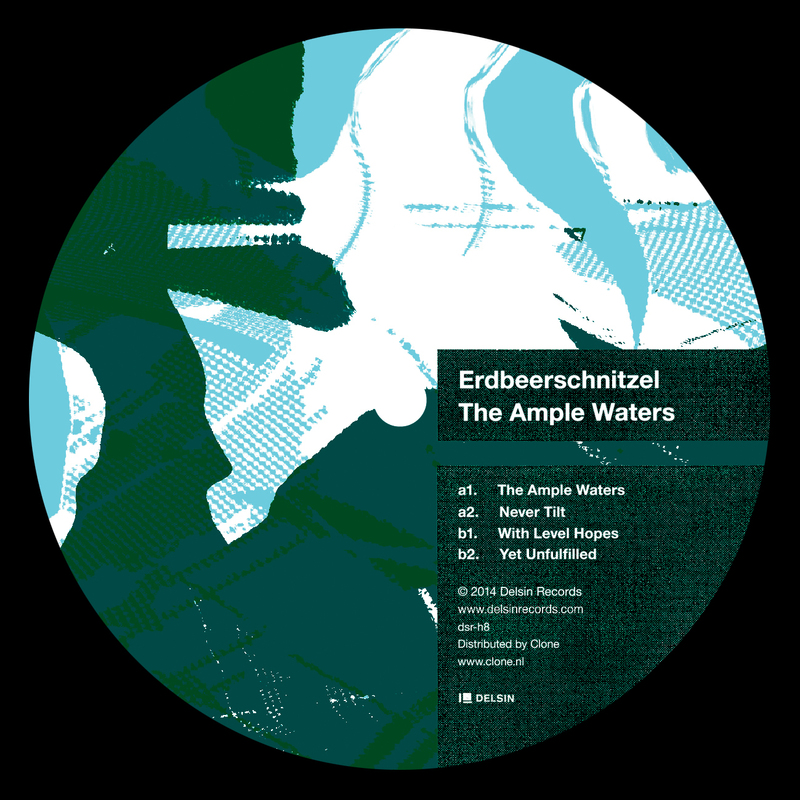 It contains all the necessary ingredients for an Erdbeerschnitzel taste: intricately woven layers of sound, samples and instrumentation, an over-all slow tempo, an organic feel despite the use of software, several catchy melodies and a decent funk groove. These are true summer tunes; listening to the title track “In Ample Waters” will induce every house aficionado a similar feeling as a kid getting an ice cream on a hot day in June. The beauty of “Never Tilt” is in its artisanship of melodic structuring, a characteristic which is also present in the soft-paced and soulful “Yet Unfulfilled”, the only track on the record that includes vocals. The German once again delivers a work of real flair that’ll be on my playlist for the warm months to come. Like Delsin, Heist Recordings is proudly based in Amsterdam. It is, of course, a much younger label run by the house outfit Detroit Swindle, but Heist has already got a fair share of attention with a few exceptionally strong releases. Its fifth ep is by fellow townsman Frits Wentink (actually Steve Mensink), a newcomer who holds a degree in Audio Design and who is gaining status rapidly thanks to some decent production work on labels suchs as Triphouse, Shipwrec and Darko Esser’s Wolfskuil as well as to many club performances. 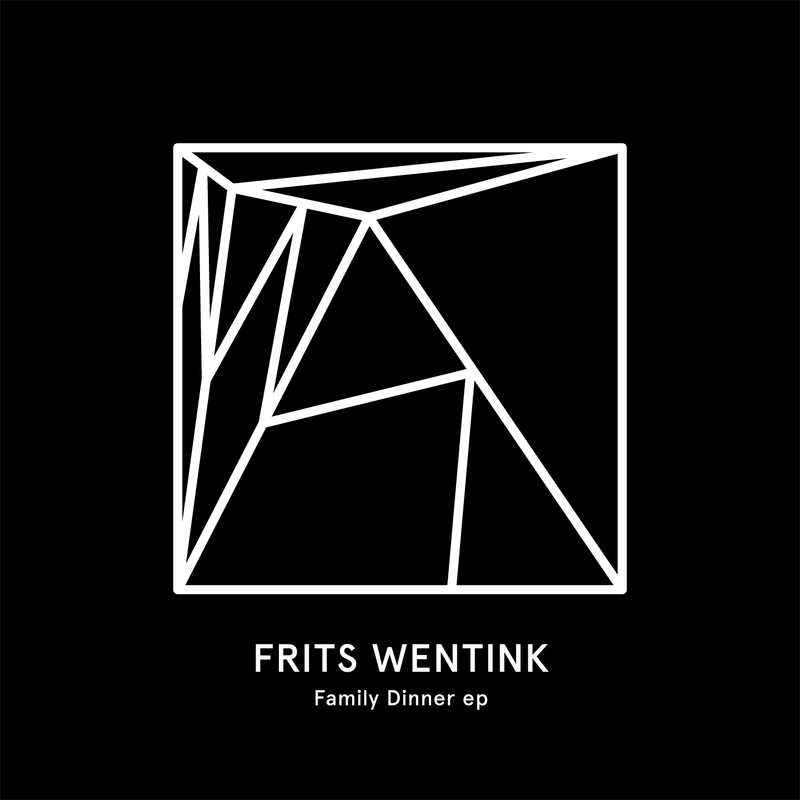 This “Family Dinner EP” is in fact typical Frits Wentink material. Case in point is “Ligament” which has a heavy-thumping beat as a basis and gets its groove from a recurring filtered sample with a jazzy feel as well as a soulful vocal cut. “IF I Was To Gravy You’ is composed of similar elements and “Shrewd”, in turn, is an awesome garage house track, characterized by an even more efficient groove, very catchy synth lines and a cut-up vocal sample. Dutch singer Loes Jongerling, with whom the producer has worked before, contributes to “Sauce”. The piece has been built up around her voice, heavy percussive beats and some warm synth touches. All in all, Frits Wentink indeed confirms the buzz and Heist was right to sign him to their roster. Lastly, a promising debut comes from the Berlin-based German-Greek duo Local Suicide (Brax Moody and Vamparella) on the stylish label Bordello A Parigi, an enterprise from Rotterdam that specializes in vintage music as well as cinema and fashion. Both members of Local Suicide are very active in the music scene and have already established quite a reputation so this ep was long due. You’ll get the original version of “We Can Go Everywhere”, a catchy and poppy tune with clear influences form Italo disco and Balearic house that locks into your head right away, as well as three remixes. The Swiss from In Flagranti give it a live sounding esthetics by means of a funky bass line and some drums, while Mexican dandy Iñigo Vontier chooses an electroclash roll to emphasize the potential the track has for peak time use. Finally, Richard Rossa’s version is more of an electro disco dub that works perfectly. And now please excuse me because I have to get into these high-heeled dancing boots!